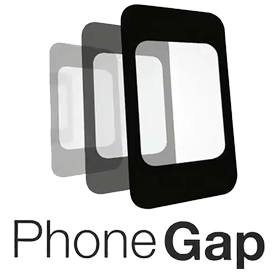 Our group of devoted PhoneGap developers is proficient and committed in PhoneGap programming. Our PhoneGap developers have various domain experiences and are trained in all phases of PhoneGap development. PhoneGap offers developers access to the rich device functionalities allowing them to make mobile apps useful and interesting. PhoneGap framework provides the development of a variety of apps. Our team members have experience in developing PhoneGap and they work as devoted resources for your project from our state of the art development facility in your preferred time zone. We serve very high level of commitment towards all our PhoneGap web development assignments. Our app development process for PhoneGap application begins with understanding the client needs. Often, when our clients have a limited budget and want to convert their web application to mobile application, they approach us for development. We assist them by designing PhoneGap apps, using short development cycles. Our years of experience in web development, mobile development and application development gives us better knowledge and expertise to develop PhoneGap based mobile apps. We can provide you the necessary assistance from concept to delivery with a professional review of your mobile app idea and suggest solution roadmap to success. Our professional PhoneGap developers will meet / exceed your expectations by delivering you their best. Are you interested in developing a Custom Mobile Application with PhoneGap Mobile Framework? Please Contact Us for more information about Mobile Apps Development using PhoneGap Framework and other mobile development services offered by Creative infoway. Creativeinfoway is one of the leading mobile and web application development company in India that has mastered the web application development and mobile application development including iPhone Applications, Windows Mobile Applications, Applications on Google Android for the niche markets.